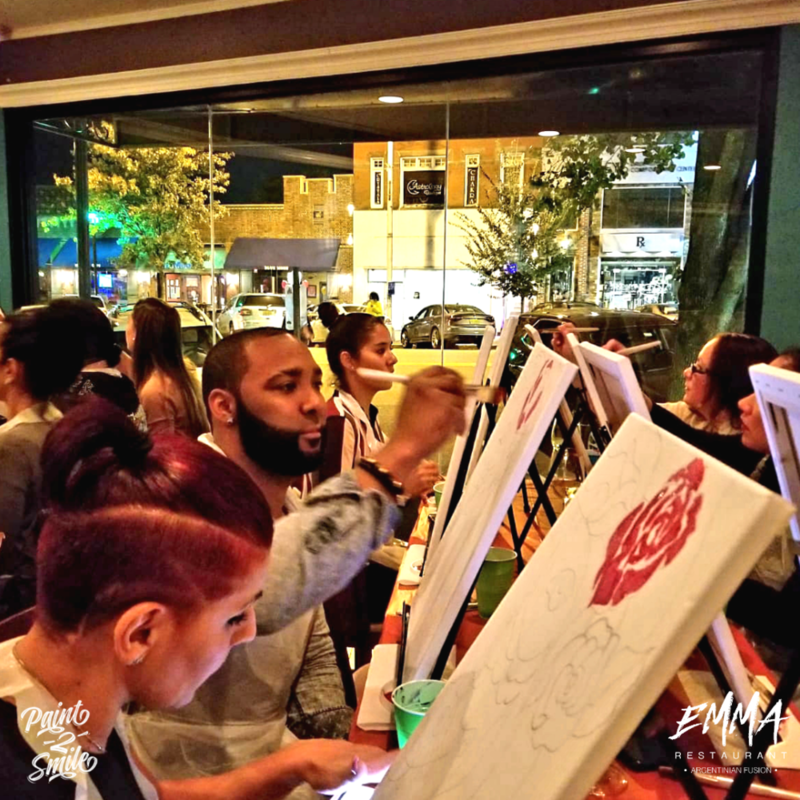 Join us for a night of painting, socializing, great food, drinks and FUN!!! 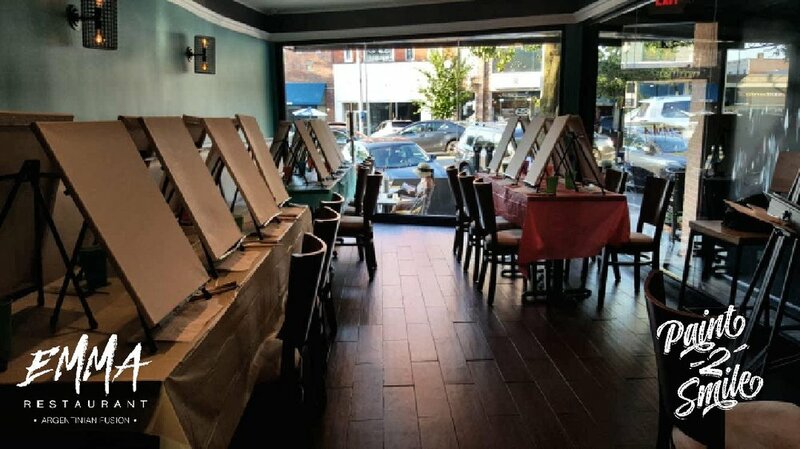 Includes all art materials, complementary food and drinks. 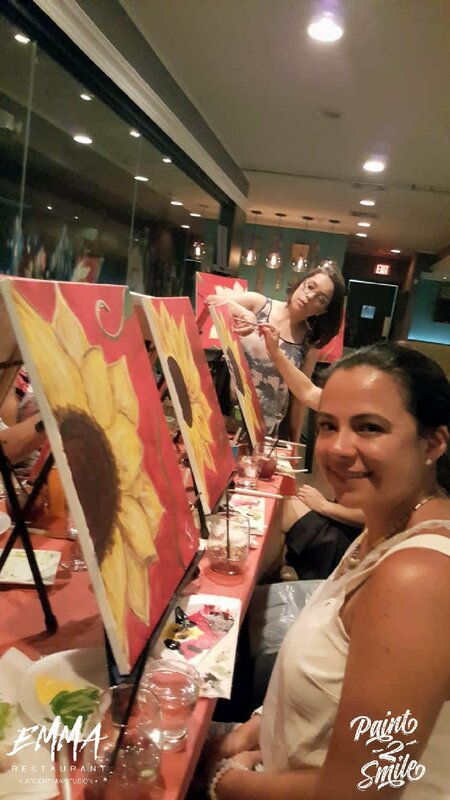 Laura will instruct you into a step by step canvas painting of LA CATRINA from 7:30 - 9pm. We will have a LIVE DJ following instruction time for the AFTER PARTY. 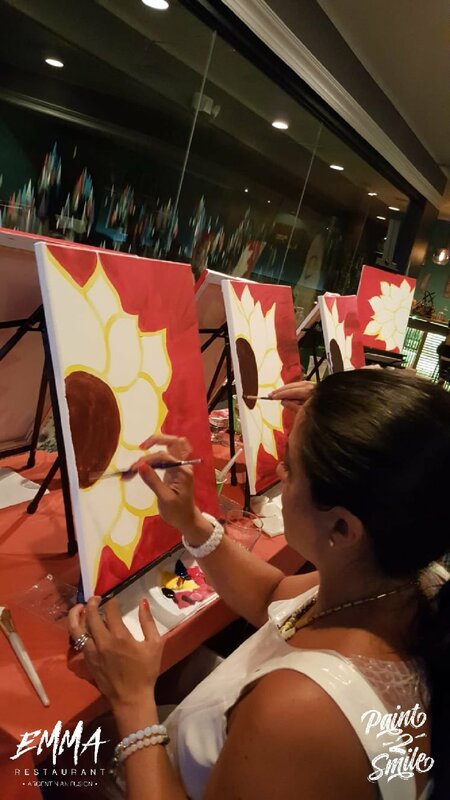 **After Instruction you will be bale to get painted as a Catrin or Catrina by the instructor Laura Hoyos for an additional cost. Thank you to all of you that came, we had a blast!!! JOIN US FRIDAY AUGUST 10TH FOR A TOTALLY RAD TIME!!! We started our night with some glasses of champagne as we greeted our new friends. 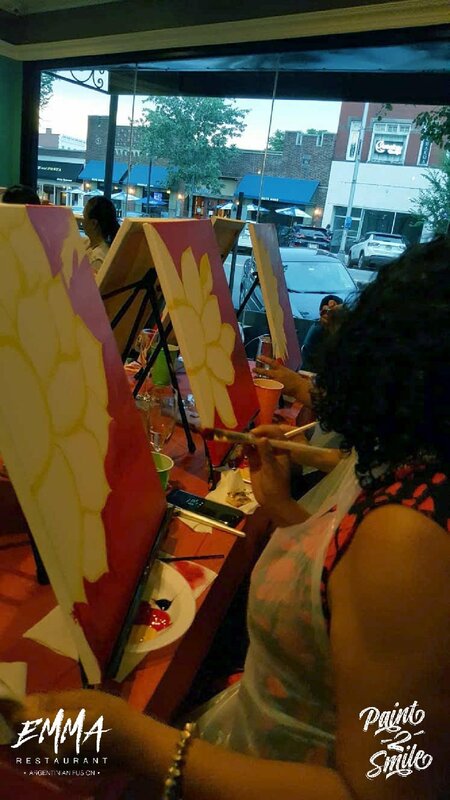 This night was filled with amazing food, laughs, good times, paint and Sangria. 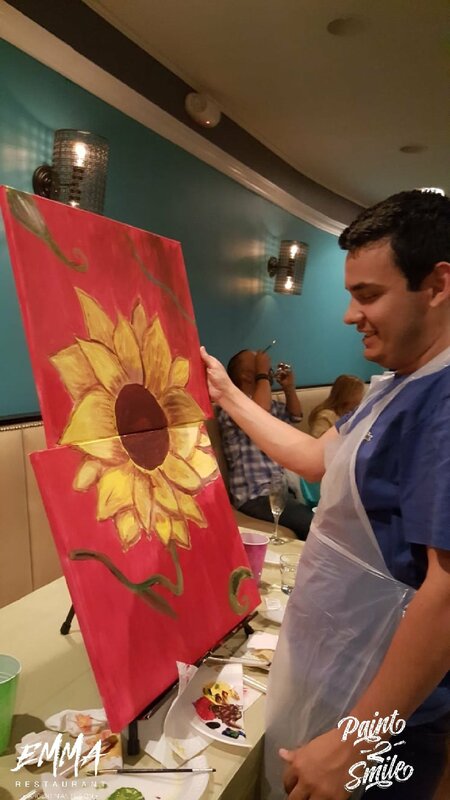 Our paint nights are for everyone. 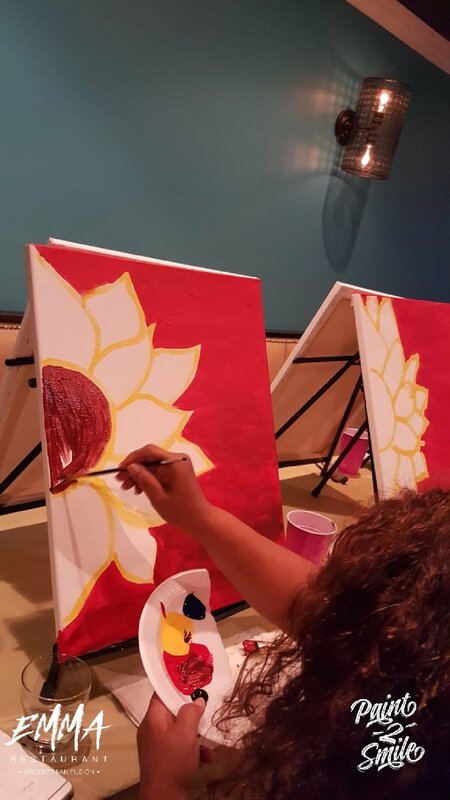 Beginners, intermediate or advanced painters will enjoy a wonderful paint night of socializing, music, food and paint. 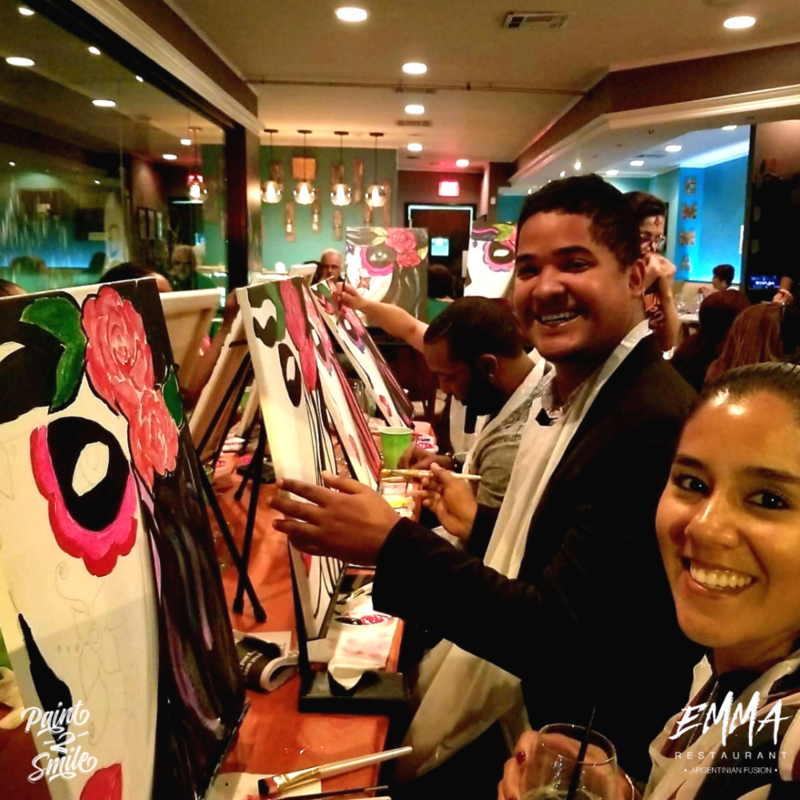 We welcome everyone's creativity and unique style to be let loose. 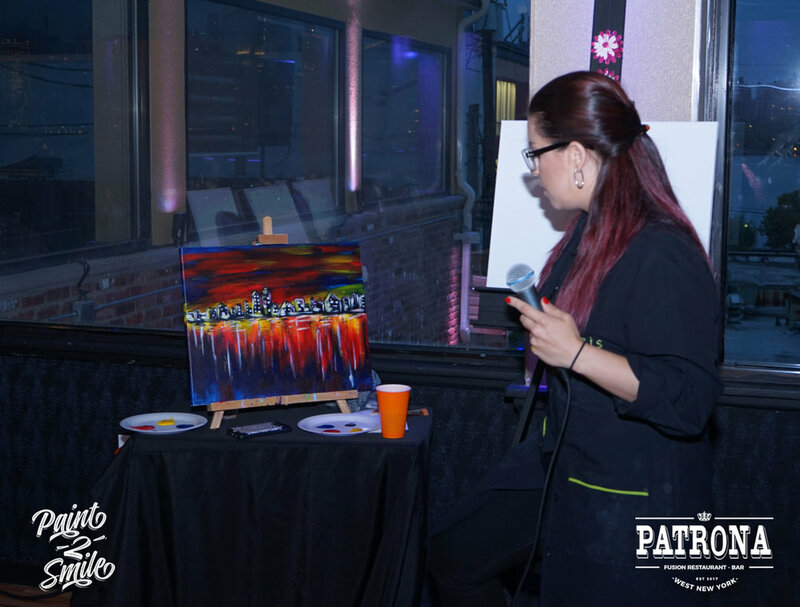 Art is about expressing one self and as an artist you have artistic license to make the art work YOURS!!!! 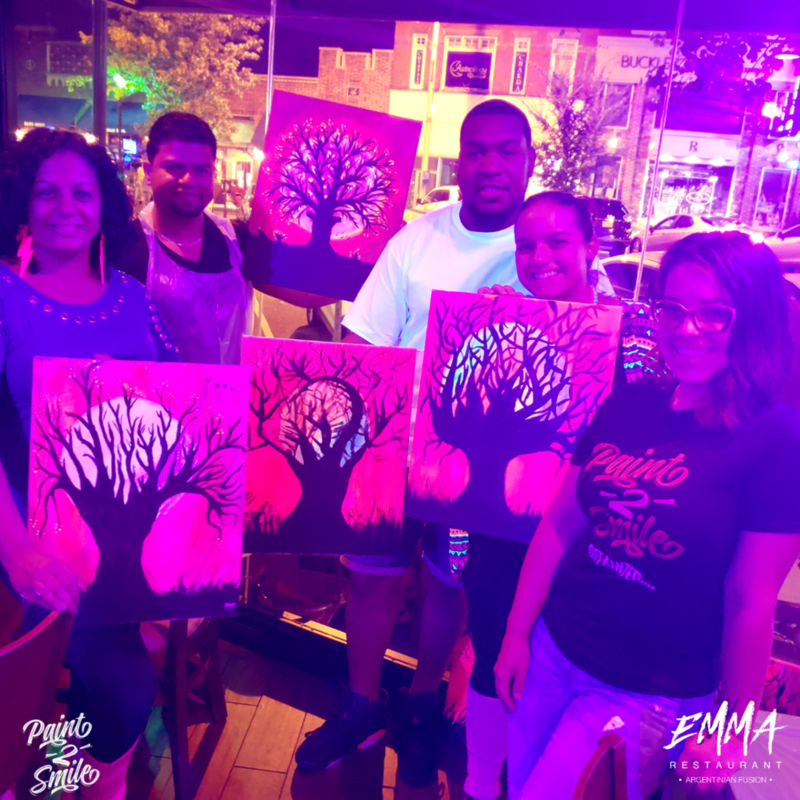 To this beautiful group of painty friends we loved having you and to our new friends we welcome you and hope to see you at our next PAINT NIGHT @ EMMA RESTAURANT on August 10th. Yeasssssss that's right it's on a Friday night and we are starting a little later 8pm. Get there 7:30 - 8pm. 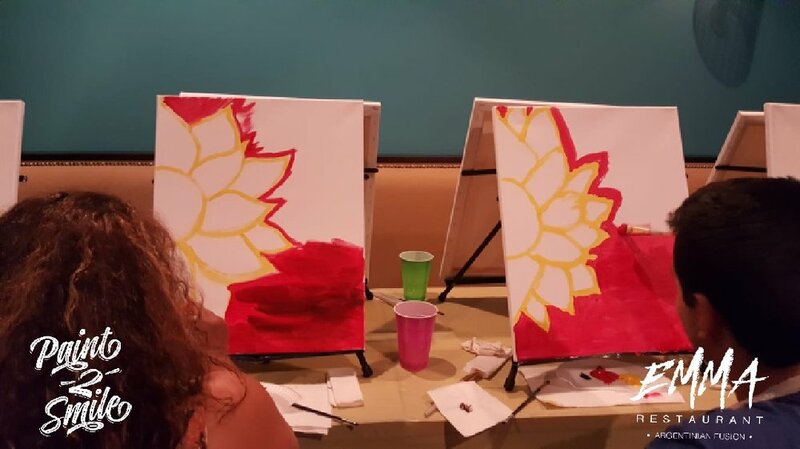 Will start painting around 8pm See you on the 10th. 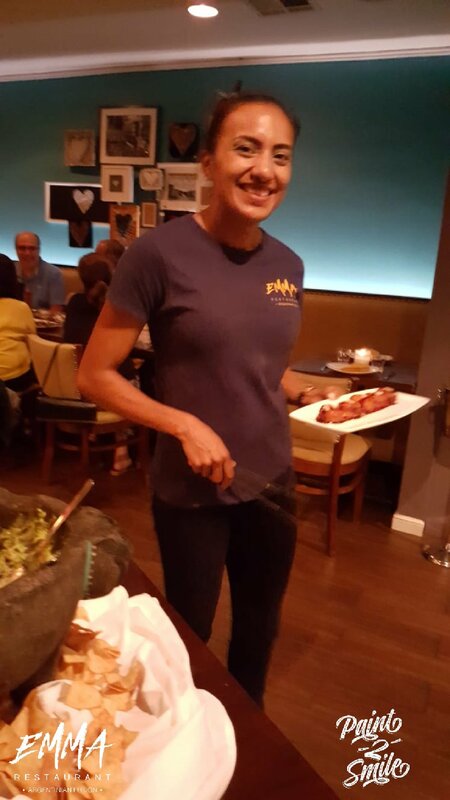 Here are some photos from our passed event this Thursday. I hope you all had as much fun as I did. 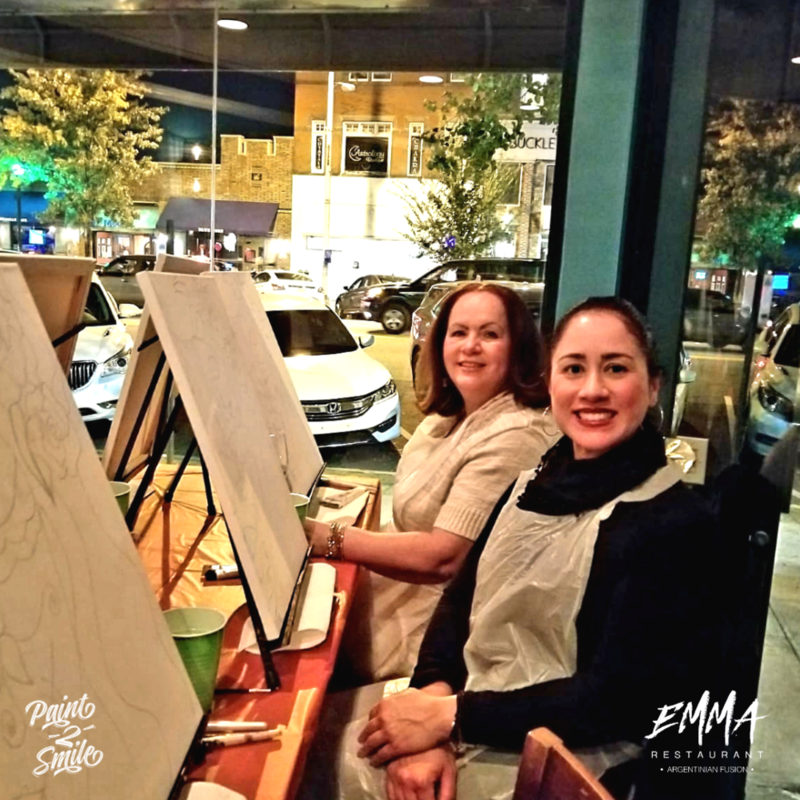 Paint nights are from everyone, if you are new to painting or a pro you are always guaranteed to have fun. 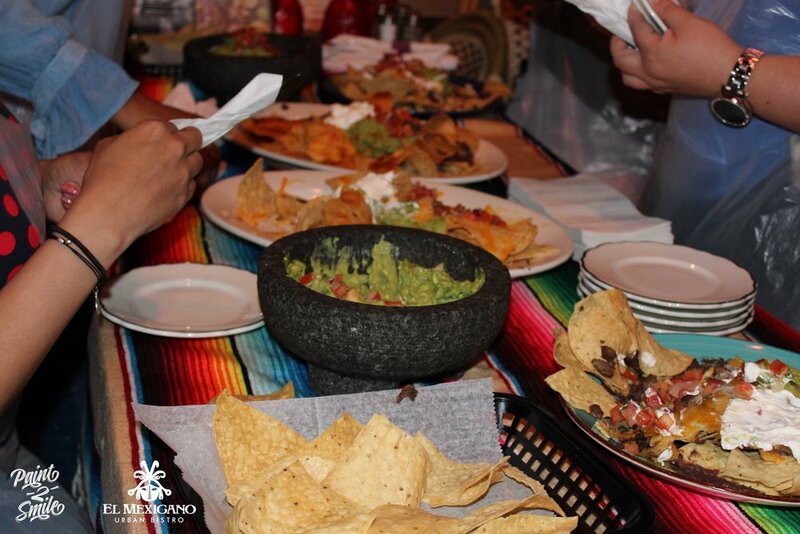 We love to make everyone SMILE and help everyone have a good time. 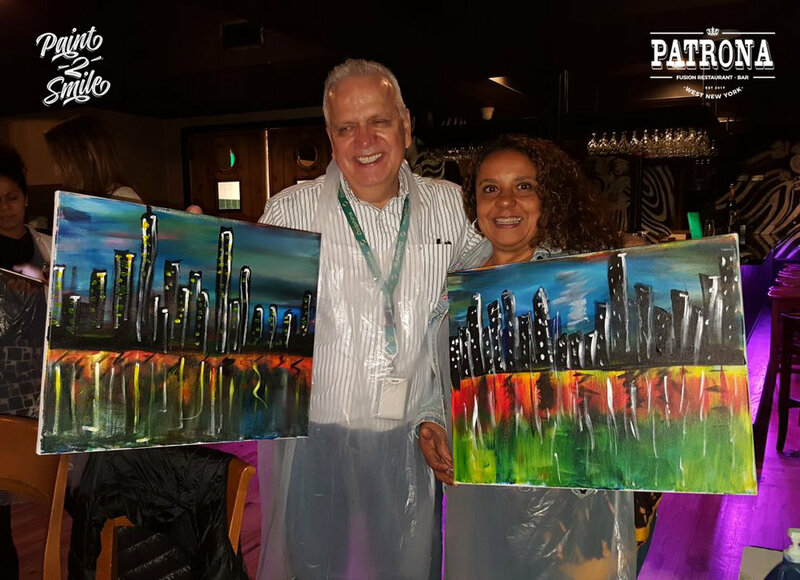 Hope to see you at our next ones, share photos and tag us we love to know where these beautiful paintings have taken a home. 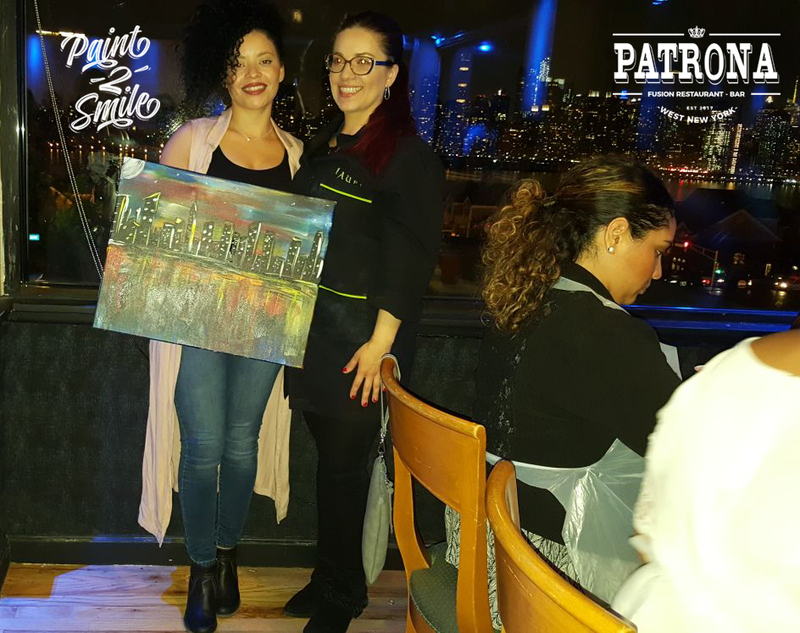 Thursday night we had a FABULOUS view in Patrona in Edgewater. 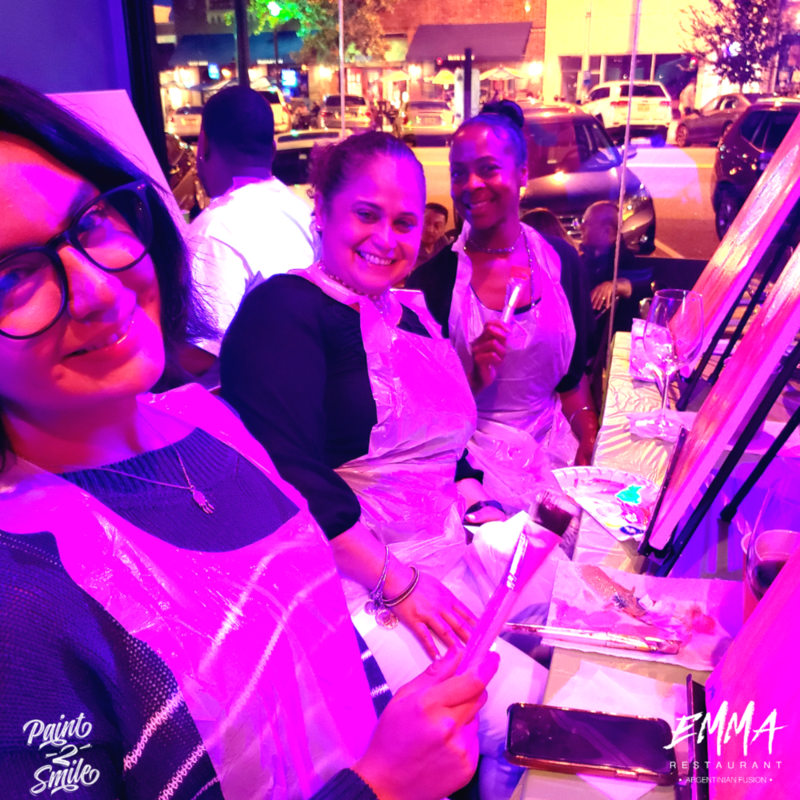 I was beyond thrilled and excited to be part and be able to guide this wonderful group of people into a night of Sangria, great food and painting. 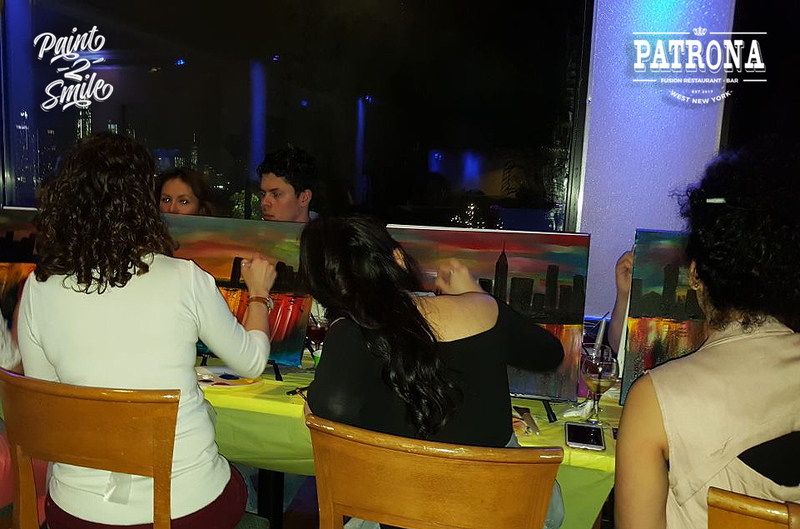 While inspired with the beautiful view of the New York city skyline everyone's individual creativity and personality was able to shine through in everyone's final painting. I have the blessing to work with many moms to be. 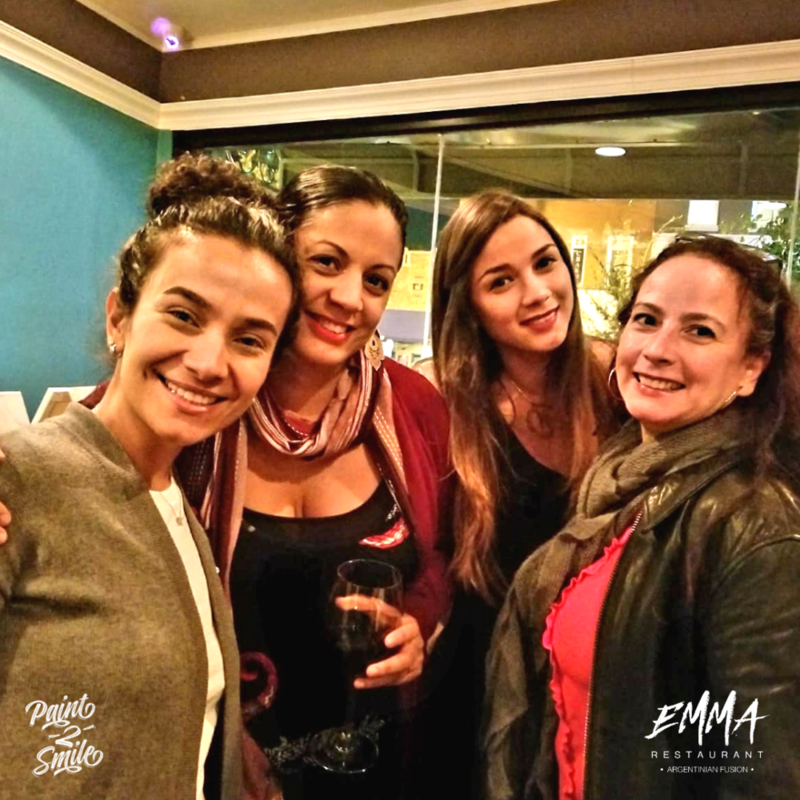 As an artist, painter and more importantly a woman, maternity to me is a blessing in any woman's life that is worthy of a special celebration. What better way than to celebrate, capture, embrace and applaud this glorified moment that with some art. In my experience with belly painting I have encountered many women that don't feel beautiful or are just so overwhelmed with everything their bodies are going through that belly painting for them and more so exposing their belly is not an option. I have had numerous women thank me after their session because they feel BEAUTIFUL and to me is the biggest THANK YOU of all after a session. Motherhood is such a magical and precious moment and for that moms are my biggest heroes. I am blessed and grateful that as an artist I can take part of this moment in so many women's life. 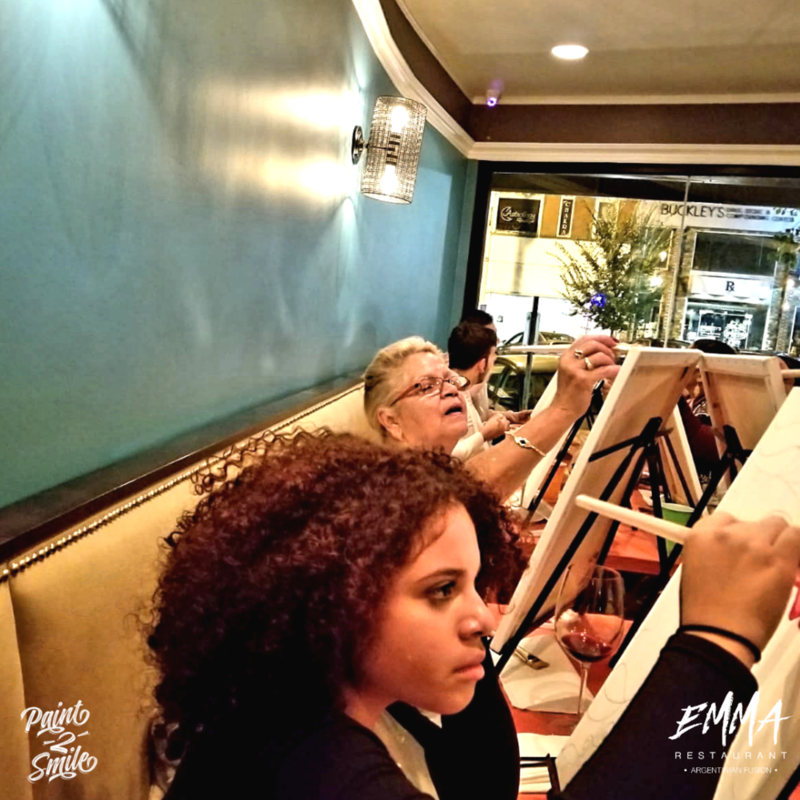 Thank you ladies for letting me paint you and for capturing such memorable moments for us both. 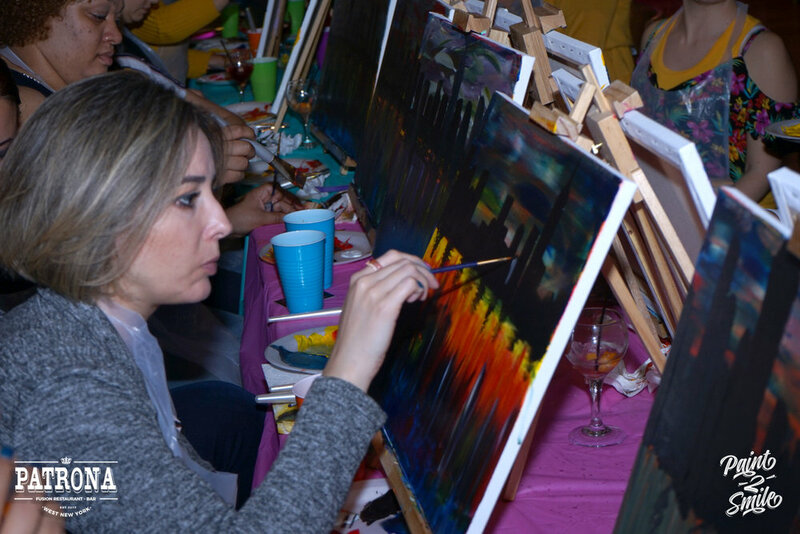 Thank you to Bergen Family Center for having me again this year and to paint so many beautiful smiles in this night of fun, dance and FOOD!!!! 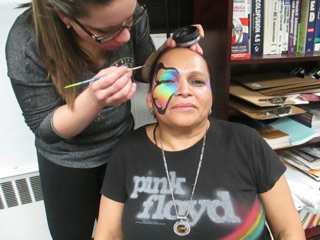 I want to give a special thanks to the Woodcliff LakeEducational Foundation for letting me paint such beautiful faces. I had a blast and looking forward to be back!!!! 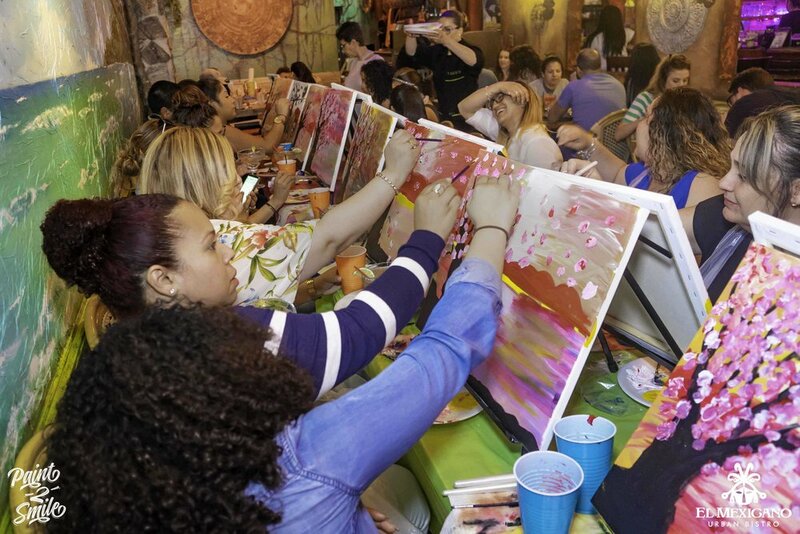 On October First, Grieco School of Englewood New Jersey hosted its second Latino Fair, an event full of music, prizes, information for the families and mos important a lot a whole lot of painted little ones and big ones. It is always a pleasure to help out in these type of events for my hometown. A very special thank you to Vice Principal Mr. Abraham Alarcon for all the support!!! Its a humble honor to work with you, I honor and admire you for inspiring me as one of your former students and for continuing to do so. 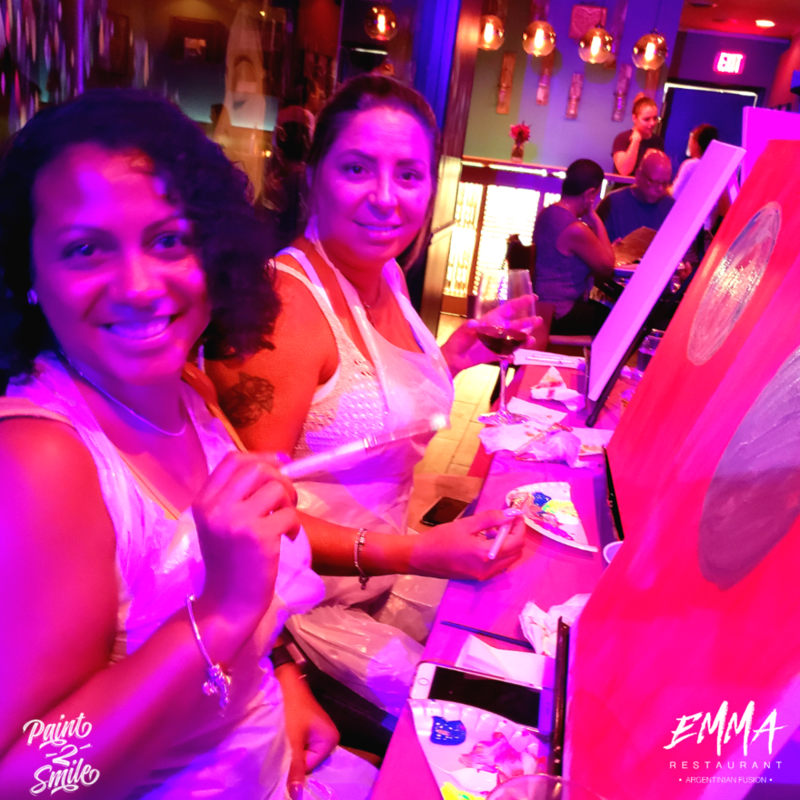 On Saturday Septmeber 19th, Paint 2 Smile painted beautiful smiles in a busy afternoon full of music, dance and fun in Englewood New Jersey!!!!! 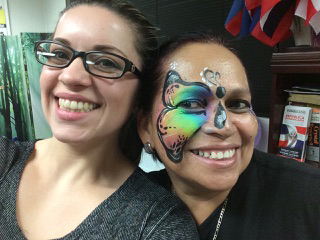 Thank you Bergen Pac for having us on your First Hispanic Heritage Festival!!!! 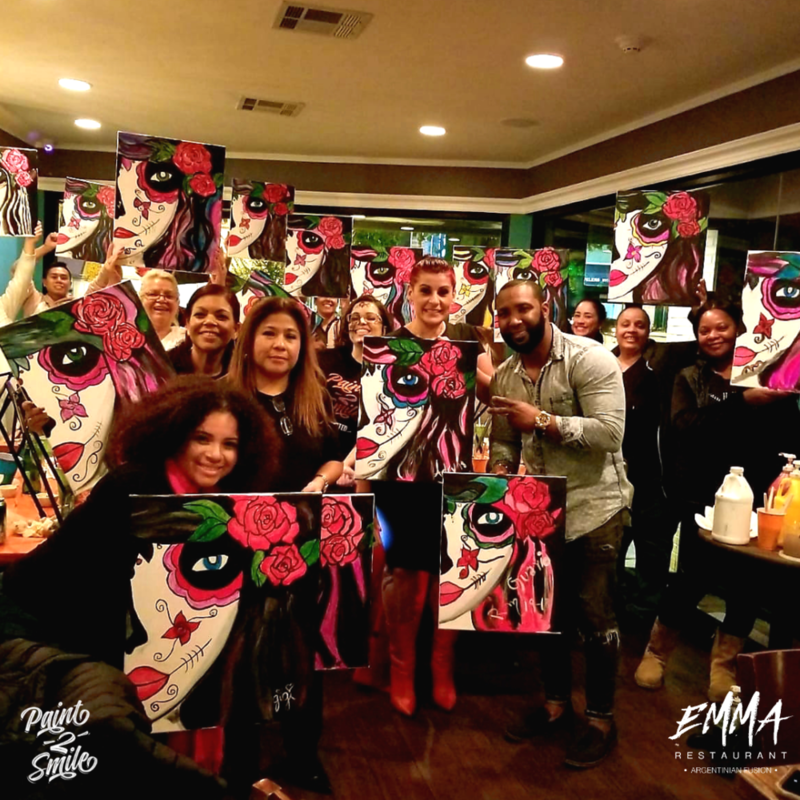 Thank you Action 21 for allowing me to paint these beautiful and inspiring women. May 8th we celebrate international Women's day. 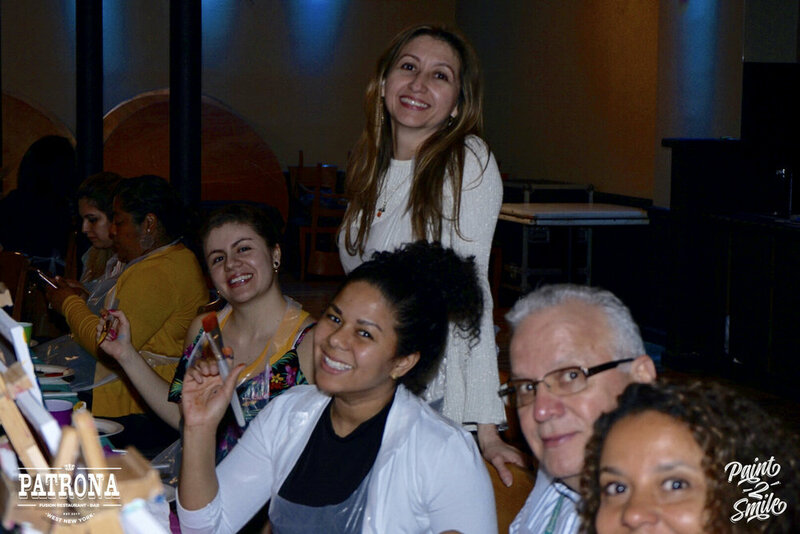 Action 21 in a non profit organization founded by Narciso Castillo in 2002 located in Jersey City NJ.